In order to receive the best phone services at the cheapest rates, VoipReview.org has compiled a list of the best SIP trunking providers. 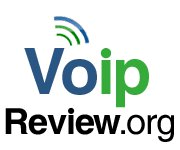 There are multiple SIP trunking providers on the telecom market and the experts at VoipReview.org have analyzed customer satisfaction, monthly rates, and quality of service in order to determine the 3 best SIP trunking providers of the year. SIP trunking is a system that maintains multimedia communications such as phone or video calls via the Internet. A SIP trunk provider is a business that brings SIP trunking and other VoIP services to customers. Unlike traditional analog phone systems, SIP providers are able to combine data and voice connections into one single line. A SIP system uses an onsite PBX in order to route calls. Limitless calls between office extensions is then available once a hosted PBX system is set up in office. The PBX also synchronizes the two systems to provide an efficient and inexpensive telephony service. The biggest benefit of SIP providers is the inexpensive external calls. SIP trunking has many other benefits too, including: consolidated extensions, caller ID, increased reliability, local and long distance, elimination of IP- PSTN gateways, an auto attendant, DID calling for every extension and E911. There are multiple SIP trunking providers on the telecom market and the experts at VoipReview.org have analyzed customer satisfaction, monthly rates, and quality of service in order to determine the 3 best SIP trunking providers of the year. Broadvoice has a US-based customer and technical service, where customers are able to speak to an attendant that will help get the SIP trunking system back up and running instantly. Amongst other reasons, this makes for BroadVoice to continuously receive exemplary reviews by their thousands of customers. All with quality service and a reliable system, Broadvoice offers three different SIP trunking plans. The smallest package starts at a minimum of 5 ports and 1 DID per trunk and extends up to unlimited ports and 1 DID per trunk. Their pricing is affordable, starting at $55 per month and up to $400 per month. In order to give customers the most bang for your buck, BroadVoice charges $5 for each additional port and $2 for each additional DID. Broadvoice has extensively tested Asterisk, Trixbox, Shoretel, Switchvox and Talkswitch, so that customers routing millions of minutes a month can use these CRM platforms. Broadvoice provides DID numbers in any of the lower 48 states, regardless of where the company’s residency is. BroadVoice has the flexibility and customization that businesses desire, making it the number one SIP trunking provider for companies of all sizes. 8x8, Inc. provides customers with features and reliable phone service at an affordable price. They offer a range of customizable plans, in order to meet the needs of companies of all sizes. They have eight separate plans, with a specific SIP trunking plan included as well. Businesses are known to save 50% or more when switching to 8x8 Inc. services and they do not require users to sign a contract. They have unlimited calling in the US and Canada and includes a softphone and mobile app. The third best SIP trunking provider of the year is Net2Phone. Their service works well for consumers with all types of business needs. They offer companies inbound and outbound calling at low costs and a choice of a telephone number from another country so that no matter where you reside or have your business, the number stays consistent. Net2Phone is a global leader in VoIP that lets users purchase their SIP trunking service without a contract or monthly fees, meaning that customers only pay for what they use. Customers have saved up to 90% by switching to Net2Phone SIP trunking. Some of the excellent features included in their services are: broadband phone service, wholesaler termination, IP-PBX and SIP trunking, mobile VoIP, and international VoIP. With unlimited minutes and affordable international calling, Net2Phone is a preferred VoIP and SIP trunk provider by many. Businesses interested in comparing SIP trunking providers can do so here: http://www.voipreview.org/Business_Telephone_Systems/SIP_trunking.aspx.